The Myers family has been serving the Winston-Salem, and the surrounding areas with excellent customer service for more than 90 years. As we’ve grown, our customer-first philosophy has remained the core of our Winston-Salem dealership so it’s no surprise that Inc. magazine has named Frank Myers Auto Maxx to the Inc. 5000 Hall of Fame! To earn this distinction, a company must first be a five-time Inc. 5000 honoree; Inc. magazine’s annual ranking of the most prestigious, fastest-growing private companies in the United States. 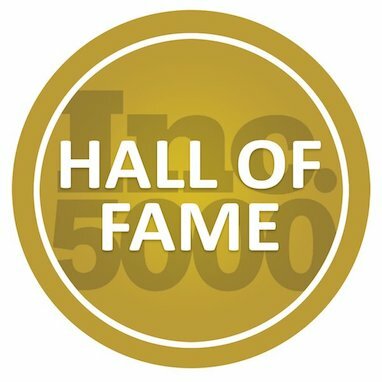 This list represents a unique look at the most successful independent, privately-owned businesses in the nation, such as Dell and Pandora, and we at Frank Myers Auto Maxx couldn’t be more proud to place amongst these companies for the last five years running. When you visit our used car dealer, you can count on customer service that will make you feel like family. We believe that everyone in Winston-Salem has a right to a newer, nicer car and focus on our customers needs and wants first through solutions like our Everybody Rides Program. It’s also easy to see why Frank Myers Auto Maxx continues to grow and was named to the Inc. 5000 Hall of Fame if you take a look at our customer reviews below. We all owe of our continuous growth to our amazing staff and customers, and will continue to support our great community for many years to come. For more information about our dealership, contact us online or feel free to stop by Frank Myers Auto Maxx. We’d love to show you our customer-first approach!